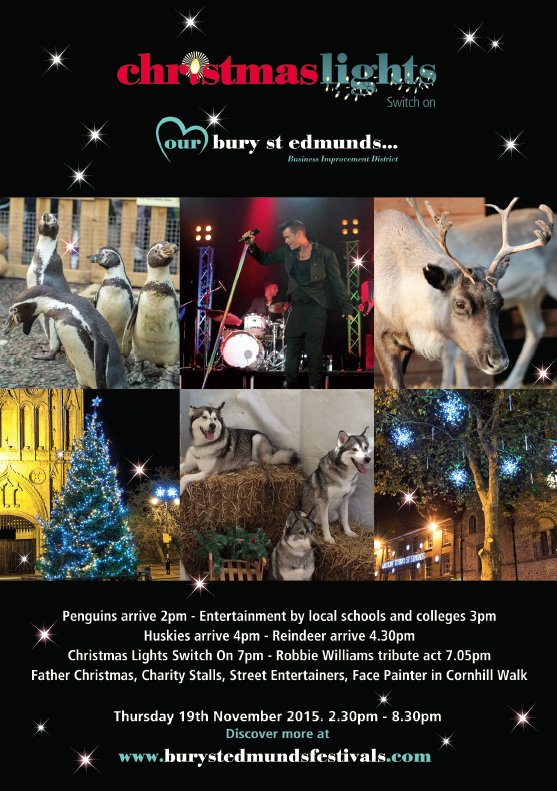 Penguins, reindeer and Husky dogs are on their way to Bury St Edmunds to help the town’s Christmas celebrations get off to a bright start. The festive favourites will be among a host of free attractions and entertainment at the annual Ourburystedmunds Christmas Lights Switch On event on Thursday November 19. This year Bury St Edmunds town centre will be even brighter with new lights and decorations added to the display. Several areas of the town centre will see new and improved illuminations including St Johns Street. Some of the town’s major car parks will also be lit for the first time to give a festive welcome to late night shoppers or those enjoying a pre-Christmas night out in Bury. The completely free Switch On event is organised by the town centre Business Improvement District (BID) group Ourburystedmunds which, through its member businesses, also funds the Christmas lights. Chief Executive of Ourburystedmunds Mark Cordell said: “This year I think Bury St Edmunds will look its brightest since the BID became responsible for the illuminations five years ago. It’s a very important time for town centre businesses and deserves proper investment. As well as the ever-popular penguins and other animals in a special enclosure near the top of Abbeygate Street, there will be a full stage programme of acts near Moyses Hall, helping everyone get into a Christmassy mood. The town centre will also be full of festive stalls and attractions with the whole event officially getting underway from 2pm. Later, a Robbie Williams tribute act will round off the evening with some of the artist’s best known hits. The evening will also provide an additional opportunity to book tickets for the ice skating rink which will open in the arc shopping centre from December 5. Tickets are currently bookable online through the Ourburystedmunds website but may be bought in person from a special stall near the main stage where The Snow Queen will be helping the Ourburystedmunds team on the night. Parking for the Switch On and all subsequent Thursdays in the run up to Christmas will be free in town centre car parks from 4pm. The stage shows featuring eight different performances from local schools and colleges will start at 3.10pm and at just before 7pm, when the lights go on, Father Christmas will ride through the town on a galleon to take his place on the stage. Once the lights are on, the entertainment will continue into the evening with tribute act Robbie to the Max. For more information about the Christmas Lights Switch On event please visit www.burystedmundsfestivals.com. 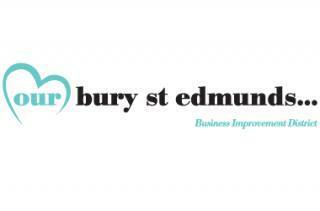 For the latest information about visiting Bury St Edmunds, ice-skating or the current offers from town centre businesses go to www.ourburystedmunds.com or download the Ourburystedmunds app.